Residence Life - Eastern Wyoming College - Eastern Wyoming College - It's A Great Decision! 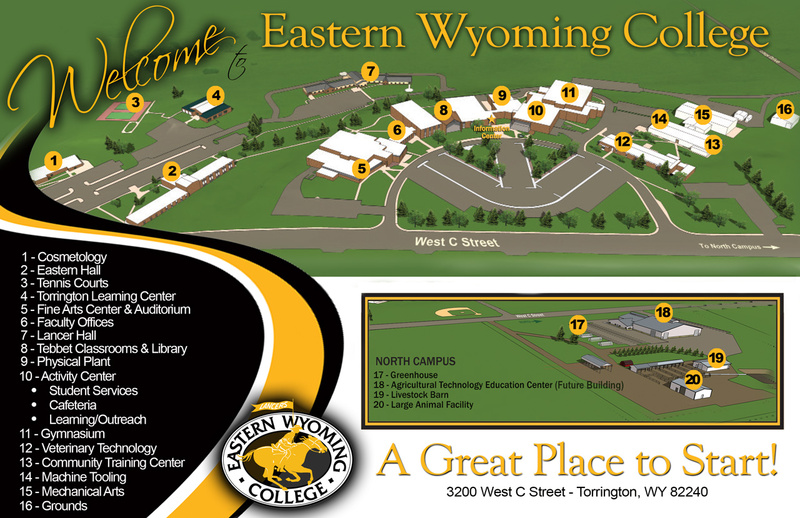 Eastern Wyoming College welcomes you to resident living. Residing on campus offers you the opportunity to make life long friends, participate in numerous campus activities and reside in affordable while comfortable rooms. Eastern Hall and Lancer Hall are located on the college campus close to classrooms, student services and college activities. Both residence halls provide suites and double occupancy rooms. All rooms are equipped with cable television, internet, and local phone hook-ups. The laundry facilities offer free washers and dryers to all on-campus residents. In the residence halls, you will find that students have opportunities to participate in Housing Council and develop life long skills while attending Eastern Wyoming College. The role of residence life at Eastern Wyoming College is to support a dynamic community comprised of various people with different values, from different cultures and lifestyles and possessing different attitudes. All members of this community are encouraged to respect the individuality and life choices of the community members. We can learn from those around us as we encourage, respect and tolerate our differences. Each person plays an important role in our resident halls and should be allowed to be a positive influence on others and Eastern Wyoming College.